Citation: Bolayirli MI, Konukoglu D, Fırtına S, et al. Comparing Oxidative Stress Markers and S100B, Aβ-40 Proteins as Independent Neurological Markers in Distinguishing the Relation of Alzheimer’s Disease and Diabetes Mellitus. J Neurol Neurosci. 2016, 7:5. Alzheimer's disease (AD), which is mainly an aging disease, is the most common neurodegenerative disorder associated with dementia . The multifactorial pathophysiology of AD includes genetics, toxic reactions, viral diseases and impaired cerebral blood flow . As Alzheimer's disease can only be diagnosed with brain biopsy or postmortem autopsy, finding specific markers for early diagnosis of AD is crucial. An ideal AD biomarker not only requires a diagnostic feature indicating the neuropathological changes such as amyloid-β (Aβ) plaque formation or neurofibrillary tangle in the brains of AD patients  but also is required to evaluate either the prognosis of disease or the effectiveness of treatment. The several clinical studies have showed that oxygen and nitrogen free radicals induced protein; lipid and DNA oxidation were leading to the cytotoxic effect . Two models, one suggesting that AD patients are exposed to oxidative damage not only in the brain but systemically, the other suggests that oxidative damage is only limited in the brain were asserted for the explanation of the free radical mediated oxidative damage in AD. However, in studies impaired permeability of the blood-brain barrier and endothelial damage in small vessels in AD patients were reported implying that the presence of oxidative radicals or free radical increase in systemic circulation might affect the brain in AD [5,6]. In recent years, studies have also focused on the relationships between Type 2 Diabetes Mellitus, insulin resistance and AD. Aging, oxidative stress and inflammatory mechanisms all play roles in the development of diabetic complications and these processes were found similar to AD [7,8]. Although the exact mechanism that is common in both AD and DM is unknown, it is thought that central insulin resistance impairs glucose metabolism and insulin’s neuroregulatory role in brain . Another explanation is that the insulin dysregulation mediates the formation of advanced glycosylation products and increases the inflammation that leads to oxidative stress . The epidemiological studies showed that diabetes is a significant risk factor for developing AD and patients using antidiabetics to reduce insulin resistance show lower incidence of AD . Amyloid gene synthesizes amyloid precursor protein (AβPP) from a fragment of 40 to 42 amino acids. At least three different forms of amyloid, depending on the site of RNA splicing have been detected [12,13] and among the proteins amyloid precursor protein (AβPP) was chosen as neurologic marker. The other marker was S100B which is a member of S100 protein family. S100B is a 21-kD, calcium-binding protein that is mainly expressed in astroglial cells in the central nervous system . For detecting insulin resistance amylin, a polypeptide hormone produced in pancreatic beta-cells that belong to the family of calcitonin gene-related peptides was used; as the overproduction and accumulation of amylin in islets was suggested to contribute insulin resistance . Adiponectin is a 244-amino acid collagen-like protein that is solely secreted by adipocytes and acts as a hormone with antiinflammatory and insulin-sensitizing properties [16,17]. The high serum adiponectin level is considered as an anti-diabetic and anti-atherogenic factor . Growth hormone stimulates production and secretion of IGF-I from the liver. The most of the circulating IGF-I is produced the liver, to be carried to other tissues and acts as a hormone. As similar to insulin, IGF-1 has mitogenic and metabolic effects. IGF-1 also has various effects on neuronal development and functions [19,20]. IGF-I in the circulation acts as a neuroprotective hormone, entering the brain through a transport system at the blood-brain barriers. Aging reduces hippocampal neurogenesis and also circulating IGF-I levels. On the other hand, it was shown that brain injury induces neurogenesis and up-regulates brain IGF-1 levels . On the basis of these data, we planned a prospective study in patients with AD and DM, with and without treatment, to investigate the relationship between AD and DM and to evaluate this relationship by explaining possible biochemical mechanism via oxidative and insulin resistance markers. 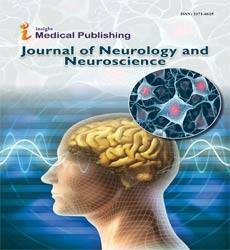 Total number of 225 patients, who were admitted to the Outpatient Clinics of Neurology Department and to the Central Biochemistry Laboratory of Cerrahpasa Medical Faculty of Istanbul University and also to Taksim Education Hospital, were included in this study. The study was approved by Ethical Committee of Cerrahpasa Medical Faculty (Number: 9292,04 /18 /2007). Group 1: (n=25, Control group): Subjects in the control group were healthy subjects, who had no neurological disorder with normal cognitive and laboratory test results (13 Male, 12 Female; mean age: 73.1 ± 10.6 years). Group 2: (n=30, AD group): Patients with probable AD without any treatment. None of these patients in AD group had DM (15 Male, 15 Female; mean ages: 73.2 ± 10.2 years). Group 3: (n=55, AD-CEI group): Patients with probable AD under treatment with cholinesterase inhibitors (CEI). None of these patients in AD-CEI group had DM (23 Male, 32 Female, mean ages: 72.4 ± 9.6 years). Group 4: (n=25, DM group): Twenty-five patients with type 2 DM. None of these patients in DM group had probable AD or any deterioration in cognitive tests (12 Male, 13 Female, mean ages: 70.5 ± 15.5 years). Group 5: (n=30, DM-OAD group): Thirty patients with type 2 DM under treatment with oral anti-diabetic agents (OAD – sulphonyl urea). None of these patients in the DM-OAD group had probable AD or any deterioration in cognitive tests (14 Male, 16 Female, mean ages: 72.5 ± 14.2 years). Group 6: (n=25, AD-CEI + DM group): Patients with probable AD under treatment, who had been recently diagnosed with DM (12 Male, 13 Female, mean ages: 70.9 ± 10.3 years). Group 7: (n=35, DM-OAD + AD group): Patients with type 2 DM under treatment, who had been recently diagnosed with probable AD (17 M, 18 Female, mean ages: 75.3 ± 10.1 years). Only the subjects that gave their informed consent before participating were included in the study. Exclusion criteria for this study were heart diseases such as coronary artery disease, autoimmune disorders, psychiatric disorders, history of smoking habits or alcohol intake, cancer or those with acute infectious or inflammatory diseases. A detailed medical history was questioned, systemic and neurological examinations including electrocardiography were performed in all participants. Biochemical and hormonal tests were performed before enrolling each patient into the study. Criteria of NINDS-ADRDA (National Institute of Neurological and Communicative Disorders and Stroke and the Alzheimer Disease and Related Disorder Association) was used for diagnose of dementia. Mini-Mental State Examination (MMSE) was performed for cognitive functions. All patients with a clinical suspicion of probable AD had cranial neuroimaging tests for exclusion of mimicking conditions. The diagnosis of type 2 DM was based on ADA criteria’s. Fasting venous blood samples were drawn in the morning after an overnight fasting (10-12 h) between 8 and 10 am. Blood samples were drawn via brachial veins in brachial fossa into tubes without anticoagulants and into tubes containing anticoagulants (EDTA). The blood samples in tubes without anticoagulants were centrifuged for 10 minutes at 4000 rpm at 4°C. Biochemical and hormonal tests were performed immediately. For the determination of other parameters serum and plasma aliquots were frozen and stored at -80°C immediately until further analysis. Serum Aβ1-40 levels were measured by a solid phase sandwich ELISA (Invitrogen Corporation, CA, and Catalog No: KHB3482). The results were expressed as pg/ml. A coefficient of variation of 9.2% was obtained. Serum Protein S100-B levels were measured by a solid phase sandwich ELISA (BioVendor Research and Diagnostic Products, GmBH, Catalog No; RD192090100R RUO). The results were expressed as ng/ml. A coefficient of variation of 7.2% was obtained. Serum ADMA levels were measured by competitive enzymelinked immunoassay method (Immunodiagnostic AG, Stubenwald-Allee, Germany, and Catalog No: K7814). The results were expressed as μmol/L. A coefficient of variation of 5.2% was obtained. NOx concentration was determined by an enzyme-linked immunoassay kit (Cayman Chemical Co. Catalog No: 780001). In the presence of nitrate reductase; nitrate was enzymatically converted to nitrite. The results were expressed as μmol/L. A coefficient of variation of 7.5% was obtained. Serum PCO levels were measured by a solid phase ELISA (Northwest Life Science Specialties, LLC, and Catalog No: NWKPCK01). Samples containing protein were reacted with Dinitrophenylhydrazine (DNP); then the protein was nonspecifically adsorbed to an ELISA plate. The results were expressed as nmol/L. A coefficient of variation of 7.8% was obtained. Serum GSH levels were measured by a modified method described by Tietze by using a commercial kit (Northwest Life Science Specialties, LLC, and Catalog No: NWK-GSH01). First serum samples were deproteinized with 5% Metaphosphoric acid. After centrifugation, samples were diluted 1:20. After multiplying the values obtained for samples by the appropriate factor to correct for the sample dilution, the results were expressed as μmol/L. A coefficient of variation of 4.2% was obtained. Serum Hcy levels were measured by ELISA (Axis-Shield Diagnostic Ltd. Dundee, UK. Catalog No: FHCY100). Proteinbound Hcy was reduced to free Hcy and enzymatically converted to S-adenosyl-L-homocysteine (SAH). The results were expressed as μmol/L. A co-efficient of variation of 4.5% was obtained. Serum 3-NT levels measured by ELISA method using a commercial kit (Northwest Life Science Specialties, LLC, and Catalog No: NWK-NTR01). The results were expressed as nmol/L. A coefficient of variation of 5.2% was obtained. Serum F2-isoprostane levels were measured by competitive ELISA (CAYMAN Chemical Co, USA, and Catalog No: 516351). The results were expressed as pg/ml. A coefficient of variation of 11.0% was obtained. Serum MDA levels were measured by high-pressure liquid chromatography (HPLC) by using commercial kits (Chromsystems Instruments and Chemicals GmbH, Munich, Germany, Cat. No: 67000). The results were expressed as μmol/L. A coefficient of variation of 3.7% was obtained. Serum Amylin levels were determined by a monoclonal antibody-based sandwich immunoassay method (Millipore Corporation, USA, Catalog No: EZHA-52K). The results were expressed as picomol/L. A coefficient of variation of 7.4% was obtained. Serum Adiponectin levels were determined by quantitative sandwich ELISA (AssayPro LCC, USA, Catalog No: EA2500-1). The results were expressed as μg/ml. A coefficient of variation of 5.5% was obtained. Serum IGF-I levels were determined by ELISA (AssayPro LCC, USA, Catalog No: EI1001-1). All samples were diluted 1:80 with sample diluent. After multiplying the values obtained for samples by the appropriate factor to correct for the sample dilution, the results were expressed as ng/ml. A coefficient of variation of 4.2% was obtained. Serum sRAGE was measured by the quantitative sandwich enzyme immunoassay technique (Quantikine; R&D Systems, Minneapolis, MN, and Catalog No: DRG00). The results were expressed as ng/ml. A coefficient of variation of 4.8% was obtained. Serum Fetuin-A levels were determined by quantitative sandwich ELISA (AssayPro LCC, USA, Catalog No: EI1001-1). All samples were diluted 1:80 with sample diluent. After multiplying the values obtained for samples by the appropriate factor to correct for the sample dilution, the results were expressed as ng/ml. A coefficient of variation of 6.8% was obtained. Plasma glucose, total cholesterol, urea, creatinine, total protein, and albumin levels were determined by colorimetric and enzymatic methods using commercial kits (Abbott Diagnostics, USA). Serum thyroid hormone status, vitamin B12 and Folate levels were measured by chemiluminescent immunoassay (Abbott Diagnostics, USA). HbA1c levels were then determined by ion-exchange high-performance liquid chromatography (HPLC) method (Variant II Turbo, Bio-Rad Laboratories, Inc. USA). Statistical analyses were performed using SPSS 11.0 version for Windows Statistical Program (SPSS, Chicago, IL, USA). All data were expressed as means ± standard deviation (SD). Descriptive statistics were obtained, and data were tested for normality using the Kolmogorov-Smirnov test for Gaussian distribution. For comparison of parameters with normal distribution parametric tests and comparison of parameters with abnormal distribution non- parametric tests were used. For this purpose, one-way ANOVA, student-t, Mann-Whitney U and Wilcoxon Signed Ranks tests were used. Relationships between variables were assessed with Pearson’s correlation coefficient. A p-value equal to or lower than 0.05 was considered statistically significant. General characteristics and biochemical parameters are given in Tables 1 and 2. DM, DM-OAD and DM-OAD + AD groups showed both significantly higher blood glucose and HbA1c levels whereas AD-CEI + DM only significantly higher blood glucose levels when compared to the control group (for each p<0.001). Table 1 Clinical and biochemical characteristics of controls and patients with Alzheimer disease (AD) with or without therapy (CEI; Choline esterase inhibitor). Table 2 Clinical and biochemical characteristics of controls and patients with diabetes mellitus (DM) with or without therapy (OAD; Oral anti-diabetic). Group AD; AD-CEI, AD-CEI + DM and DM-OAD + AD all have significantly lower MMSE scores than the control group (for each p<0.001) but no differences in MMSE scores were between DM group, DM-OAD group and control group. The results of serum Aβ1-40 and S100B protein levels are shown in Table 3. Serum Aβ1-40 levels were significantly higher in both DM-OAD+AD and in AD group when compared to AD-CEI, DM and control groups (for each p<0.001) which show no statistically significant differences between. And levels of Aβ1-40 in DM-OAD+AD were significantly higher when compared to DM-OAD levels. Table 3 The results of serum amyloid β1-40 and S100B protein (as neurological markers) of controls and patients with Alzheimer disease (AD) and/or diabetes mellitus (DM with or without therapy (CEI; cholinesterase inhibitors, OAD; Oral antidiabetic). The serum S100B protein levels were significantly higher in AD group than control, AD-CEI+DM, DM and AD+CEI groups (for control and AD+CEI groups p<0.05, for others p<0.001). The serum S100B protein levels of DM group were significantly lower than AD group (p<0.01) but were not different from control group. Comparison of DM-OAD + AD group with DMOAD group revealed significantly higher S100B protein levels in DM-OAD + AD group (p<0.001). Results of oxidative stress markers are shown in Table 4. ADMA levels were similar among groups. Serum NOx levels in AD and DM groups were significantly higher than control group (p<0.005). For comparison of NOx levels, there were no differences between AD and AD-CEI groups. Significantly lower serum NOx levels were observed in DM-OAD group with respect to the DM group (p<0.05). Serum PCO levels were significantly higher in DM group compared to control and DMOAD groups (p<0.01 and p<0.001). The PCO serum levels of AD-CEI +DM group were significantly higher compared to ADCEI group’s levels (p<0.05). Serum GSH levels were significantly lower in AD and DM groups compared to control group (for each p<0.001). Significantly higher GSH levels were observed in DM-OAD group compared to DM-OAD+AD and DM groups (for each p<0.01). And no difference was observed in the comparison of GSH levels of AD-CEI and AD-CEI+ DM groups (p<0.01). Serum Hcy levels were significantly lower in control group compared to the AD and DM groups (for each p<0.01) whereas DM group were significantly higher than in DM-OAD (p<0.05). Serum 3-NT levels of DM-OAD group were significantly higher than control group, but were significantly lower than DM-OAD+ AD group (for each p<0.01). Serum F2- isoprostane levels were significantly higher in AD and DM groups when compared to the control group (for each p<0.05). Comparison of AD and DM groups with their respective treatment groups revealed that AD and DM groups had significantly lower F2-isoprostane levels with respect to their treatment groups (for each p<0.05). Serum MDA levels were significantly higher in AD and DM groups when compared to the control group (for each p<0.01). The difference in MDA levels between AD and AD-CEI groups were not significant but AD-CEI group showed lower MDA levels than AD-CEI+DM group (p<0.01). Significantly lower serum MDA levels were observed in DM-OAD group with respect to the DM group (p<0.05). Table 4 The results of serum oxidative stress markers of controls and patients with Alzheimer disease (AD) and/or diabetes mellitus (DM) with or without therapy (CEI; cholinesterase inhibitors, OAD; Oral antidiabetic). Table 5 presents markers of IR. Serum amylin levels were significantly lower in AD group compared to AD-CEI group and control group (for each p<0.05). Serum RAGE levels were observed significantly lower in AD and DM groups compared to control group (for each p<0.05). Serum fetuin-A levels were significantly higher in AD group compared to DM and control groups (for each p<0.05), while the differences between other groups were not significant. Significantly lower serum adiponectin levels were observed in DM and DM-OAD groups compared to control group (for each p<0.001). While there was no difference for adiponectin levels between DM and DMOAD groups, significantly lower adiponectin levels were observed in DM group compared to AD group (p<0.05). DMOAD+ AD group had significantly higher adiponectin levels than DM-OAD group (p<0.01). AD, AD-CEI and AD-CEI+DM groups showed no differences in between. Serum IGF-1 levels were significantly lower in AD-CEI group compared to AD group (p<0.05). Our study revealed that serum IGF-1 levels did not show statistically significant difference among groups and were not changed with Alzheimer dementia. Serum insulin levels were significantly higher in DM group compared to both AD (p<0.005) and control group (p<0.001). There was no difference between AD and control groups. AD-CEI+DM group had significantly higher insulin levels than AD-CEI group (p<0.001). Table 5 The results of serum insulin resistance markers of controls and patients with Alzheimer disease (AD) and/or diabetes mellitus (DM) with or without therapy (CEI; cholinesterase inhibitors, OAD; Oral antidiabetic). Table 6 Table of correlations. The significant correlations of all the parameters are given in Table 6. Alzheimer’s disease is the most common neurodegenerative disease in elderly. AD is manifested by progressive memory loss, slurring speech and deterioration of cognitive functions. The formation of senile plaques which is characterized by Aβprotein accumulation in the central areas and the formation of neurofibrillary tangles as a result of the microtubuleassociated tau protein phosphorylation are responsible for the death of nerve cells in AD. Although the exact mechanism for the nerve cell loss in AD is not known; genetic factors, abnormal protein formation, autoimmune reactions, toxic reactions, head injuries and viruses are thought to be the main contributing factors for the development of AD [22,23]. One of the important theories for the pathophysiology of AD is the relationship between oxidative stress and neurodegeneration. With high lipid content, low antioxidant capacity, increased metabolic rate and transient metal content, brain becomes more susceptible to oxidative stress . It was shown that Aβprotein was oxidative stress source in cerebrospinal fluid in neural and endothelial cultures . In our previous study we suggested that serum NOx-induced lipid oxidation levels increased in AD . It has been suggested that there could be a connection between DM and dementia in AD in the terms of insulin resistance [27,28]. DM and AD are two of the most prevalent problems in the elderly. The studies in rat models and diabetic patients showed that as the free oxygen radicals and lipid peroxidation increase, oxidative stress takes an active role in the etio-pathogenesis and progression of DM . It has also been suggested that diabetes could be associated with vascular dementia in the presence of cardiovascular risk factors . A recent study of us indicated that the changes in the serum neurotrophic factor levels, such as brain-derived neurotrophic factor, nerve growth factor, and neurotrophin-3 were associated with metabolic syndrome components in DM . This study aims to investigate the relationship between AD and DM and to evaluate the relationship by explaining possible biochemical mechanism with oxidative and insulin resistance markers in our study. For this reason, we measured serum Aβ1-40 and S100B proteins as neurological markers. In the study serum Aβ1-40 levels were found significantly higher in AD patients with and without diabetes compared to control group. Serum Aβ1-40 levels did not show any correlation with serum insulin, glucose, HbA1c levels or MMSE scores; leading to a conclusion that levels of serum Aβ1-40 might be used as an independent diabetes marker for both detecting the early stages and tracking the with/without treatment periods of AD. S100B protein is an important factor for neuronal development and healing process after brain injuries suggesting that the additional cell damage due to an extracellular increase of S100B concentrations may play a role in the neurodegenerative process [32,33]. In our study; we found that the serum S100B protein levels were significantly higher in AD group compared AD-CEI group and control group. While S100B levels showed no significant difference among DM-OAD + AD, AD-CEI+DM, and control groups, DM-OAD + AD group was significantly higher when compared to its Alzheimer free pair DM-OAD group. Negative correlation between serum S100B protein and MMSE scores and positive correlation between S100B protein and Aβ1-40 support that S100B protein can be an independent factor for tracking the development of AD. The increased peripheral S100B levels might be related to dysfunction of the blood-brain barrier. Resulting from the imbalance between free radical production of oxidative stress and antioxidant defense system leads to protein and DNA oxidation and plays a role in the development of a variety of neurological diseases [4,34]. As consist of high lipid content and oxygen capacity, brain is more prone to oxidative stress [25,35,36]. For markers of lipid peroxidation; F2-isoprostane and MDA levels are long being studied in both DM and AD. Our results reveal that the protein oxidation increased in DM. Serum Hcy and NOx levels were also observed to be increased in AD and DM. With treatment, both molecule levels decreased in both groups. Decreased GSH levels for both diseases support the role of oxidative stress in their development. On the other hand, the negative correlation between protein carbonyl levels and MMSE scores shows that protein oxidation is closely related to cognitive functions, especially for diabetic patients. We measured amylin, insulin, insulin-like growth factor-I (IGF-1), adiponectin, advanced glycation end products receptor (RAGE) and fetuin-A as insulin resistance markers in our study. In addition to its local effects and contribution to the insulin resistance, there is evidence that amylin has neuroendocrine effect influencing glycemic control, satiety and long-term energy homeostasis [15,37]. It was also suggested that the increase in the serum amylin levels in the early stages of diabetes can be related to insulin resistance for obese people . In our study we found that serum amylin levels were significantly lower in AD patients with and without DM compared to control group. The presence of Diabetes Mellitus did not affect serum amylin levels. Therefore, it is concluded that the decrease in the serum amylin levels might be related to Alzheimer disease pathogenesis. The high serum adiponectin level is considered as an antidiabetic and anti-atherogenic factor. Our study revealed that diabetic patients with/without treatment had decreased adiponectin levels. On the contrary, there was no difference between DM-OAD+AD and control groups. As the result of these findings, it is suggested that adiponectin might have critical role in the beginning of AD. Although adiponectin is suggested as an important marker for people with high diabetes risk, we could not find any difference in terms of adiponectin levels between AD-CEI and DM and control groups. IGF-1, a growth hormone stimulates production, has various effects on neuronal development and functions [19,20]. Aging reduces hippocampal neurogenesis and also circulating IGF-I levels. On the other hand, it was shown that brain injury induces neurogenesis and up-regulates brain IGF-1 levels . Our study revealed that serum IGF-1 levels weren’t changed with Alzheimer dementia and no difference between AD and DM groups for IGF-1 levels was found. Interestingly, AD-CEI group had significantly lower serum IGF-1 levels. Like DM, the accumulation of advanced glycation endproducts (AGEs) and their interactions with their receptors are considered as important factors for cell and tissue damage in aging through which many metabolic changes can be seen . AGE formation proceeds slowly under normal conditions. However, as in the hyperglycemic environment of diabetes, the formation and deposition of AGE are accelerated, causing atherosclerosis, hyperlipidemia, inflammation, neurodegenerative diseases such as Alzheimer disease [40,41]. AGE’s lead to excessive intracellular free radical formation, the disruption of intracellular signaling, gene expression and inflammatory response development by binding AGE’s Receptors (RAGE). By decreasing endothelial nitric oxide (NO) bioavailability, AGE’s play role in the formation and development of atherosclerosis. AGE’s Receptors (RAGE) are located on various types of cell membranes . Our study revealed that RAGE serum levels of AD and DM groups were significantly lower in respect to control group. As a plasma protein, fetuin-A is a cysteine protease inhibitor . Fetuin -A levels decrease during inflammation. It is inversely correlated with CRP and inhibits calcification formation. Depending on these facts, it is suggested that fetuin-A is considered as a negative acute phase reactant, but still remains controversial . Among its biological effects, fetuin-A suppresses insulin sensitivity by inhibiting tyrosine kinase activity and autophosphorylation of insulin receptors [45,46]. Our study revealed that AD group had significantly higher fetuin-A levels than control group but there were no differences between other groups. These findings suggest that fetuin-A might play a role in the development of AD. Although there was no difference in terms of fetuin-A levels between DM and control groups, serum fetuin-A was positively correlated with HbA1c and insulin levels. Our findings indicate that serum Aβ1-40 levels independent from diabetes markers might be used as a marker for the beginning and with/without treatment periods of AD. Serum S100B protein is considered as a marker for the development of AD. Increased oxidative stress is crucial for the development of both diseases. Protein oxidation is closely related to cognitive functions, especially for diabetic patients. Our results also suggest that adiponectin might have a critical role in the beginning of AD and fetuin-A might play a role in the development of AD. In conclusion, both DM and AD show similarities in terms of changes in the levels of oxidative molecules. Complex and highly complicated mechanisms are involved in the development of both diseases. By controlling oxidative mechanisms, glycemia and insulin resistance, the development of Alzheimer ‘dementia can be slowed down in diabetic patients but more extensive and follow-up studies should be planned. The Research Fund of Istanbul University for financial support. This study was supported by the Research Fund of Istanbul University (Project No: 941). We especially thank Ozden Serin M.D., director of Clinical Biochemistry Laboratory, Taksim Educational Hospital for her contribution to the collection of diabetic patient groups. Chen Z, Zhong C (2013) Decoding Alzheimer's disease from perturbed cerebral glucose metabolism: implications for diagnostic and therapeutic strategies. Prog Neurobiol 108: 21-43. Maccioni RB, Lavados M, Maccioni CB, Mendoza NA (2004) Biological markers of Alzheimer's disease and moderately cognitive impairment. Curr Alzheimer Res 1: 307-314. Glabe CG (2006) Common mechanisms of amyloid oligomer pathogenesis in degenerative disease. Neurobiol Aging 27: 570-575. Chen Z, Zhong C (2014) Oxidative stress in Alzheimer's disease. Neurosci Bull 30: 271-281. Butterfield DA, Lauderback CM (2002) Lipid peroxidation and protein oxidation in Alzheimer’s disease brain= potential causes and consequences involving amyloid β-peptide associated free radical oxidative stress. Free Rad Biol Med 32: 1050-1060. Holmes C (2013) Neuropathology and applied neurobiology. Systemic inflammation and Alzheimer's disease 39: 51-68. Craft S, Cholerton B, Baker LD (2013) Insulin and Alzheimer's disease: Untangling the web. J Alzheimers Dis Suppl 1: 263-275. Rasgon NL, Kenna HA (2005) Insulin resistance in depressive disorders and Alzheimer's disease: revisiting the missing link hypothesis. Neurobiol Aging Suppl 1: 103-107. Takeda S, Sato N, Rakugi H, Morishita R (2011) Molecular mechanisms linking diabetes mellitus and Alzheimer disease: beta-amyloid peptide, insulin signaling, and neuronal function. Mol Biosyst 7: 1822-1827. Kroner Z (2009) The relationship between Alzheimer's disease and diabetes: Type 3 diabetes? Altern Med Rev 14: 373-379. Biessels GJ, Van der Heide LP, Kamal A, Bleys RL, Gispen WH (2002) Ageing and diabetes: implications for brain function. Eur J Pharmaco l441: 1-1412. Cummings JL (2004) Alzheimer's disease N Engl J Med 351: 56-67. Cummings JL (2004) Treatment of Alzheimer's disease: current and future therapeutic approaches. Rev Neurol Dis 1: 60-69. Mrak RE, Griffin WS (2001) The role of activated astrocytes and of the neurotrophic cytokine S100B in the pathogenesis of Alzheimer's disease. Neurobiol Aging 22: 915-922. Hegazy A, Awadalla M, El-Batrawy, Aber M, Eleswed A (2009) Amylin hormone, leptin and other metabolic hormones in preterm babies. Research J Medicine and Medical Science 4: 415-420. Fujimatsu D, Kotooka N, Inoue T, Nishiyama M, Node K (2009) Association between high molecular weight adiponectin levels and metabolic parameters. J Atheroscler Thromb 16: 553-559. Garaulet M, Hernández-Morante JJ, De Heredia FP, Tébar FJ (2007) Adiponectin, the controversial hormone. Public Health Nutr 10: 1145-1150. Guerre-Millo M (2008) Adiponectin-An update. Diabetes Metab 34: 12-18. Vardy ER, Rice PJ, Bowie PC, Holmes JD, Grant PJ, et al. (2007) Increased circulating insulin-like growth factor-1 in late-onset Alzheimer's disease. J Alzheimers Dis 12: 285-290. Gasparini L, Xu H (2003) Potential roles of insulin and IGF-1 in Alzheimer's disease. Trends Neurosci 26: 404-406. Carro E, Torres-Aleman I (2006) Serum insulin-like growth factor I in brain function. Keio J Med 55: 59-63. Buckner RL, Snyder AZ, Shannon BJ, La-Rossa G, Sachs R, et al. (2005) Molecular, structural, and functional characterization of Alzheimer's disease: evidence for a relationship between default activity, amyloid, and memory. J Neurosci 25: 7709-7717. Maccioni RB, Muñoz JP, Barbeito L (2001) The molecular bases of Alzheimer’s disease and other neurodegenerative disorders. Arch Med Res 32: 367-381. Korolainen MA, Pirttila T (2009) Cerebrospinal fluid, serum and plasma protein oxidation in Alzheimer's disease. Acta Neurol Scand 119: 32-38. Butterfield DA, Lauderback CM (2002) Lipid peroxidation and protein oxidation in Alzheimer’s disease brain= potential causes and consequences involving amyloid β-peptide associated free radical oxidative stress. Free Rad Biol Med 32:1050-1060. Fırtına S, Konukoglu D, Erol G, Bozluolcay M, Orhan Y, et al. (2010) The serum protein and lipid oxidation marker levels in Alzheimer's disease and effects of cholinesterase inhibitors and anti-psychotic drugs therapy. Curr Alzheimer Res 7: 463-469. Gradman TJ, Laws A, Thompson LW, Reaven GM (1993) Verbal learning and/or memory improves with glycemic control in older subjects with non-insulin-dependent diabetes mellitus. J Am Geriatrics Soc 4: 1305-1312. Hassing LB, Hofer SM, Nilsson SE, Berg S, Pedersen NL, et al. (2004) Comorbid type 2 diabetes mellitus and hypertension exacerbates cognitive decline: Evidence from a longitudinal study. Aging 33: 355-361. MaieseK, Chong ZZ, Shang YC (2007) Mechanistic insights into diabetes mellitus and oxidative stress. Curr Med Chem 14: 1729-1738. Messier C, Awad N, Gagnon M (2004) The relationships between atherosclerosis, heart disease, type 2 diabetes, and dementia. Neurol Res 26: 567-572. Civelek S, Konukoglu D, Erdenen F, Uzun H (2013) Serum neurotrophic factor levels in patients with type 2 diabetes mellitus: Relationship to metabolic syndrome components. Clin Lab 59: 369-374. Huang M, Dong XQ, Hu YY, Yu WH, Zhang ZY (2010) High S100B levels in cerebrospinal fluid and peripheral blood of patients with acute basal ganglial hemorrhage are associated with poor outcome. World J Emerg Med 1: 22-31. Sorci G, Bianchi R, Riuzzi F, Tubaro C, Arcuri C, et al. (2010) S100B protein, A damage-associated molecular pattern protein in the brain and heart, and beyond. Cardiovasc Psychiatry Neurol. Alavi Naini SM, Soussi YN (2015) Tau hyperphosphorylation and oxidative stress, A critical vicious circle in neurodegenerative tauopathies? Oxidative Medicine and Cellular Longevity. Padurariu M, Ciobica A, Lefter R, Serban IL, Stefanescu C, et al. (2013) The oxidative stress hypothesis in Alzheimer's disease. Psychiatr Danub 25: 401-409. Aksenov MY, Aksenova MV, Butterfield DA, Geddes JW, Markesbery WR (2001) Protein oxidation in the brain in Alzheimer's disease. Neuroscience 103: 373-383. Gitter BD, Cox LM, Carlson CD, May P (2000) Human amylin stimulates inflammatory cytokine secretion from human glioma cells. Neuro-immunomodulation 7: 147-152. Westermark P (2011) Amyloid in the islets of langerhans: Thoughts and some historical aspects. Ups J Med Sci 116: 81-89. Lindsey JB, Cipollone F, Abdullah SM, McGuire DK (2009) Receptor for advanced glycation end-products (RAGE) and soluble RAGE (sRAGE): cardiovascular implications. Diab Vasc Dis Res 6: 7-14. Kanauchi M, Tsujimoto N, Hashimoto T (2001) Advanced glycation end products in nondiabetic patients with coronary artery disease. Diabetes Care 24: 1620-1623. Emanuele E, D'Angelo A, Tomaino C, Binetti G, Ghidoni R, et al. (2005) Circulating levels of soluble receptor for advanced glycation end products in Alzheimer disease and vascular dementia. Arch Neurol 62: 1734-1736. Lue LF, Yan SD, Stern DM, Walker DG (2005) Preventing activation of receptor for advanced glycation end products in Alzheimer’s disease. Curr Drug Targets CNS Neurol Disord 4: 249-266. Arnaud P, Kalabay L (2002) ɑ2-HS glycoprotein- a protein in search of a function. Diabetes Metab Res Rev 18: 311-314. Mori K, Emoto M, Inaba M (2011) Fetuin-A: A multifunctional protein. Recent Pat Endocr Metab Immune Drug Discov 5: 125-146. Smith ER, Nilforooshan R, Weaving G, Tabet N (2011) Plasma fetuin-A is associated with the severity of cognitive impairment in mild-to-moderate Alzheimer's disease. J Alzheimers Dis 24: 327-333. Stefan N, Hennige AM, Staiger H, Machann J, Schick F, et al. (2006) ɑ2-Heremans-Schmid glycoprotein/fetuin-a is associated with insulin resistance and fat accumulation in the liver in humans. Diabetes Care 29: 853-857.